While celebrating their anniversary at a resort in Mexico, surrounded by friends and family, Carole and Hunter Shipley experienced a devastating tragedy. Their infant daughter, Samantha, was kidnapped from their hotel room. Fifteen years later, Carole is divorced and remains isolated from the horrific events. Every year on the anniversary of her daughter's disappearance, she is once again forced to relive the experience as newspapers and reporters call and visit her home digging for a story. This year is a bit different. When the phone rings, it is not a nosy reporter, instead it's a young girl claiming to be her sweet Samantha. This revelation brings back a flood of memories and ignites the flame of hope that her daughter is still alive. Carole is unable to get the support she needs from her family and does not know who to believe. As she gets deeper into her investigation of this mystery girl, she comes to realize that even those close to her cannot be trusted. As a parent of two children, aged 2 and 4, it was quite easy for me to imagine what Carole was going through. There's even a part in the book where the family is driving to the resort in Mexico that just seems so familiar. Similar exchanges happen between me and my four year old while driving in our car at least once a week. Being able to put myself in her shoes definitely heightened my bond with Carole's character and drew me deeper into the book. I made a bold statement at the beginning by saying She's Not There is one of my faves of 2016. The book was hard to put down for many reasons. First, the premise, for the entire you book you just want to find out if this mystery caller is indeed Samantha. You can't help by analyse every detail that's given about her and every step Carole takes to try and uncover the truth. The next reason, readers can relate to so many of the situations (I hope the kidnapping isn't one of them). I already mentioned the car ride for parents, there's the relationship between a teenager and her mother - I've had many similar arguments with my mom and I'm pretty sure I'll have them with my daughter a decade from now. Lastly, Carole's character. You can't help but feel sorry for her. True, she made a terrible, terrible decision and is now just living the consequences of that. But, nothing since Samantha's disappearance has gone her way. Despite everyone around her moving on, she just doesn't appear to have anyone on her side. It's time she got a win and readers can't help but cheer her on. 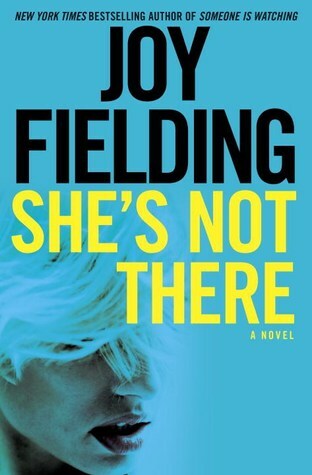 She's Not There was a fast paced and engaging novel. It left me hanging at the edge of my seat page after page. If you decide to read it, come back and let me know what you thought of it in the comments. I'd love to know if you found it as "unputdownable" as I did. Disclaimer: I received a finished copy of She's Not There from Penguin Random House Canada. All opinions are my own.